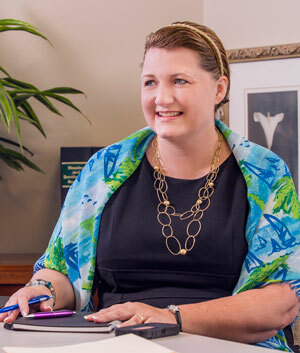 Leading with experience and innovation, Kristin Pine, who joined PPI in 2012, is at the helm of Peabody University. With more than 23 years of real estate and property management experience, she is the company’s Director of Training & Education. Ms. Pine holds a number of industry designations, including her Accredited Residential Manager (ARM), Certified Property Manager (CPM), National Affordable Housing Professional/Executive Level (NAHP-e) and Specialist in Housing Credit Management (SHCM) credentials. An Associate Lecturer since 2008 at Curry College in Milton, MA, Kristin has taught several Residential Property Management courses for students to earn their Certified Apartment Manager (CAM) designation. On a regional level, she has taught Budgeting, Property Management, and Software coursework throughout New England. Served with distinction on the Board of Directors for the New England Affordable Housing Management Association (NEAHMA) since 2003 in various capacities, including a four-year tenure as Vice President of Training & Education, as well as NEAHMA’s President of the Board of Directors (2014 – 2016). Named “National Accredited Housing Professional of the Year” in 2008 and “National Affordable Housing Professional/Executive Level (NAHP-e) of the Year” for New England in 2016, she is the current Immediate Past President of NEAHMA and a Director Emeritus. Honored and humbled to receive the “ARS Hero Award” for 2016 by ARS Restoration Specialists for her tireless efforts to help fundraise and bring awareness of the good works of the Gloria Gemma Breast Cancer Research Foundation. After six years of giving out the ARS Hero Award, Kristin was the first woman award-winner named to this honor. Serves on a number of boards and task forces in both Massachusetts and Rhode Island, including the St. Peter School Board in Warwick, Rhode Island, as the Co-Chair for both the Advancement and Strategic Planning Committees. Long-time member of the Elizabeth Buffum Chace House Board of Directors, where she served as Director at Large. Earned her Bachelor’s degree in Business Administration from Northeastern University in 1995 and is currently pursuing her MBA from the University of Rhode Island. She resides in Warwick, Rhode Island. An avid reader and tech lover… appreciates the joys of simpler things, watching TV and movies, listening to music, gardening and spending time with her family and close friends.